FREE Rocker Guards! 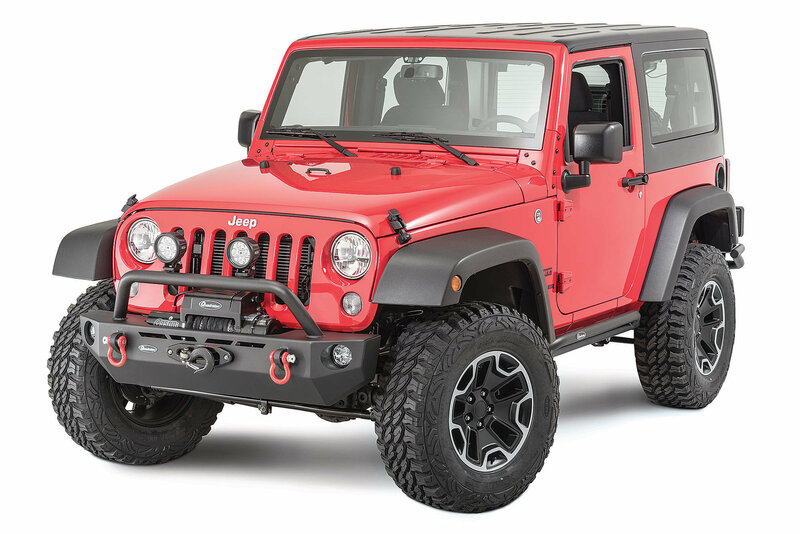 with the Purchase of Quadratec QRC Front & Rear Bumpers! Quadratec QRC Bumpers are a fully welded one piece steel construction using 6 gauge steel plate and 2”diameter x .105” thick mandrel bent grille guard hoops. Bolts directly to the vehicle’s existing mounting points with no drilling and features a fully integrated winch plate. 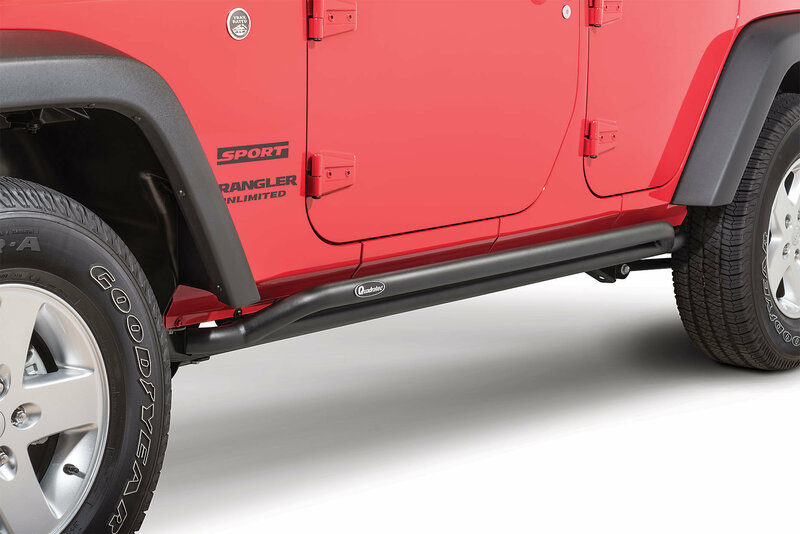 Bumpers are e-coated for corrosion resistance and fi nished with a durable powder coating. Three Year Limited Warranty. Note: If re-using your existing factory fog lamps, our plug-n-play extensions are required and available separately. 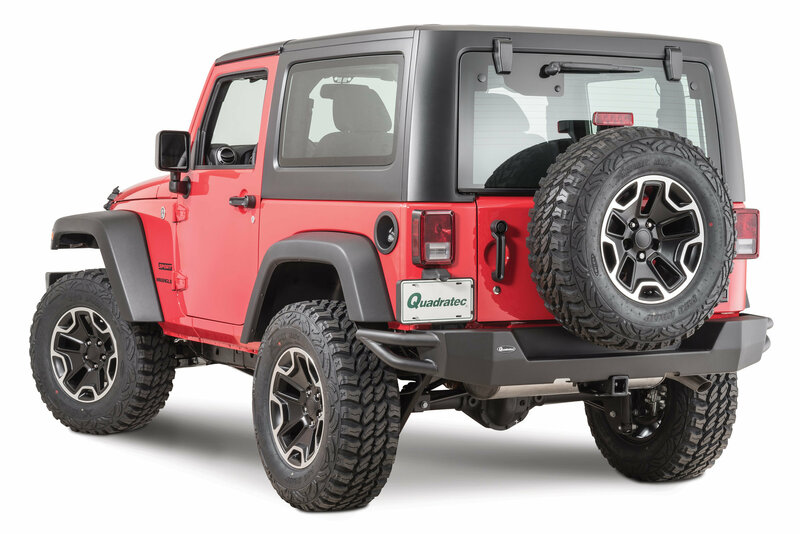 Rocker Guards: Quadratec QRC Rocker Guards are a fully welded one piece design using 2” diameter x .105” thick mandrel bent steel tubing and bolt directly to the vehicle using the existing mounting points! There’s no drilling or modifications required. Fully welded metal construction features end caps that are ground and polished smooth for a finished look while sealing out moisture and preventing internal rusting. Our QRC Rocker Guards are e-coated for external corrosion resistance and finished with an attractive and durable black textured powder coating. Installation is easy with our included hardware pack and detailed instructions.